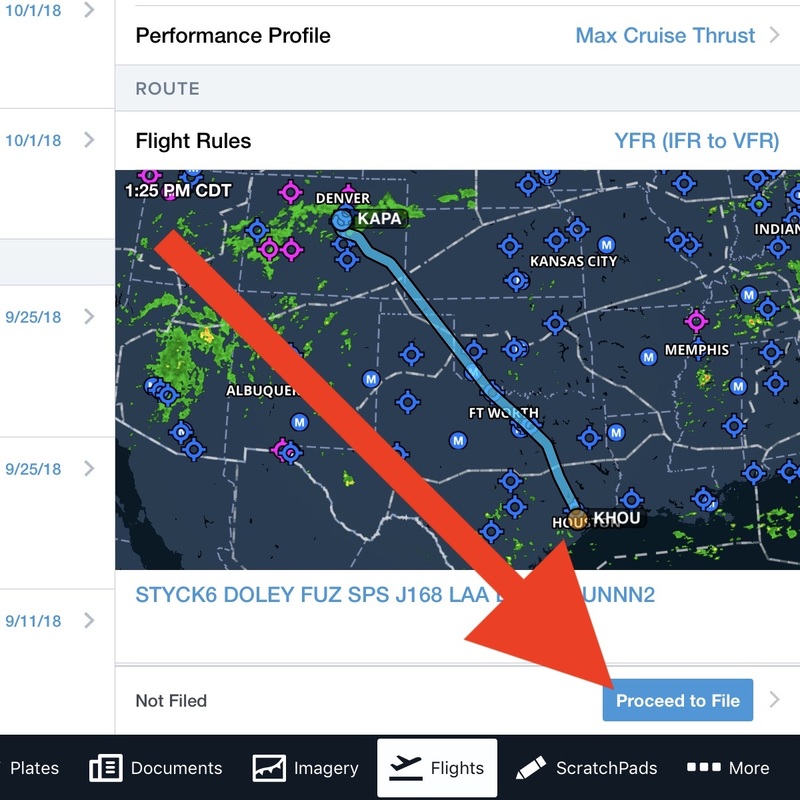 Register your aircraft and file with ForeFlight to receive a recall number that allows you to conveniently load flight plans into your Flight Management System. What is Flight Plan Uplink through ForeFlight? 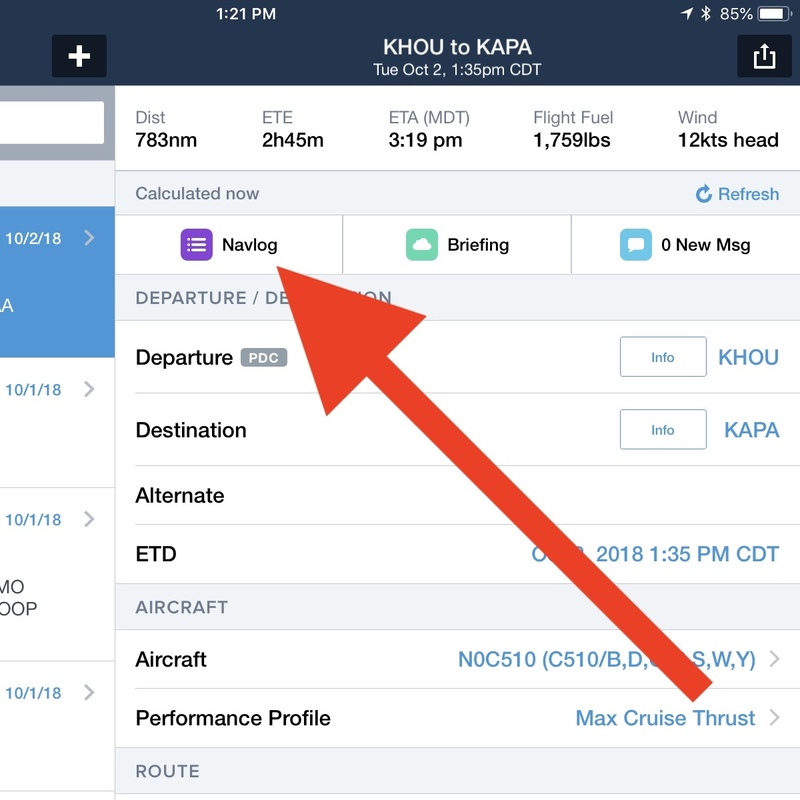 Flight Plan Uplink through ForeFlight allows you to retrieve your flight plan in your onboard avionics via a recall number provided in the ForeFlight Navlog. What is required to use Flight Plan Uplink through ForeFlight? Which datalink service providers is Flight Plan Uplink compatible with? Flight Plan Uplink is compatible with Satcom Direct and Honeywell GoDirect. How do I sign up for Flight Plan Uplink through ForeFlight? Send an email to success@foreflight.com and include your tail number and datalink service provider to get your aircraft set up. Which subscription do I need to have to sign up for Flight Plan Uplink? Flight Plan Uplink is available at no extra charge for Performance Plus and Business Performance customers. 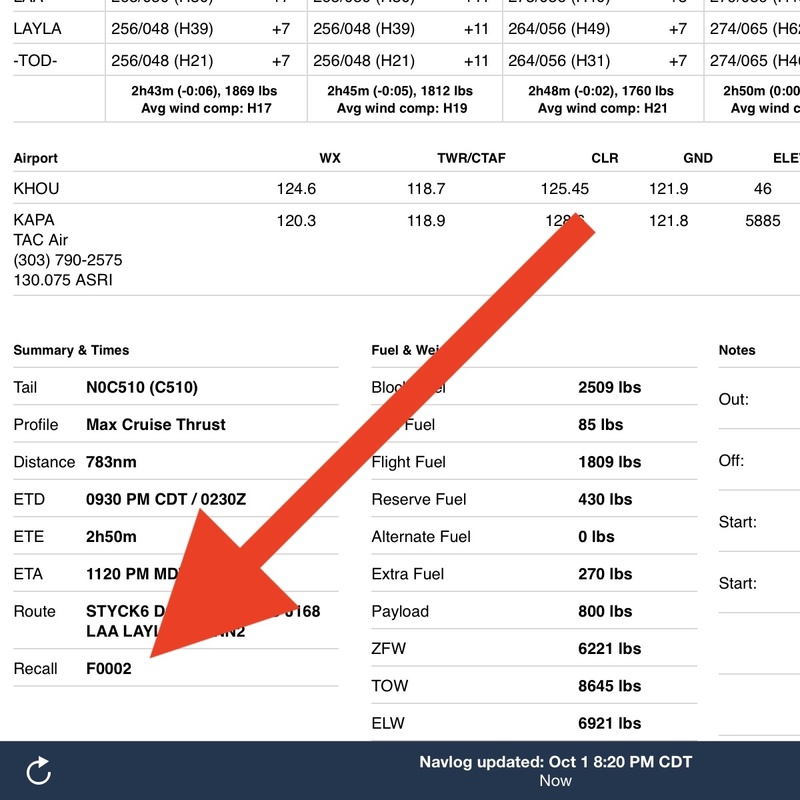 After you file your flight plan, open the Navlog in the Flights view and check the bottom-left left corner to find a recall number for the flight. Enter that number into your onboard FMS to load the flight plan. Step 1: File your flight plan through ForeFlight. Step 2: View the Navlog on the Flights view. Step 3: Check the bottom-left corner for the recall number. When is the recall number generated? The recall number is generated upon filing and may be regenerated if the flight plan is amended. Recall numbers are not generated for Direct routes.